Our current production time is 3 weeks plus shipping time!These nursery pillows measure 12" x 12" and are made of soft minky and finished with a silky satin ruffle. 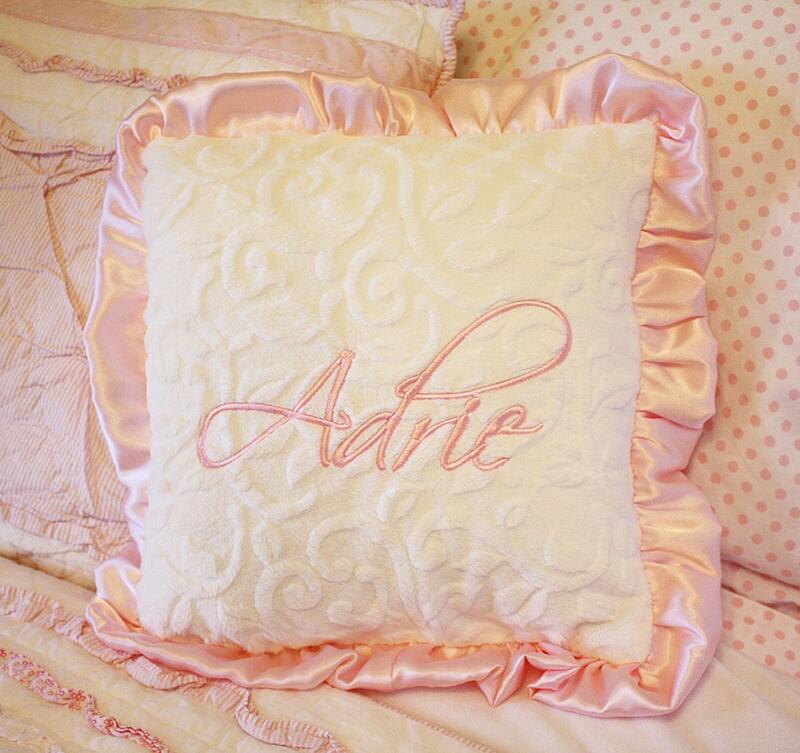 Embroidery (Personalized name) is included in the price of these pillows! 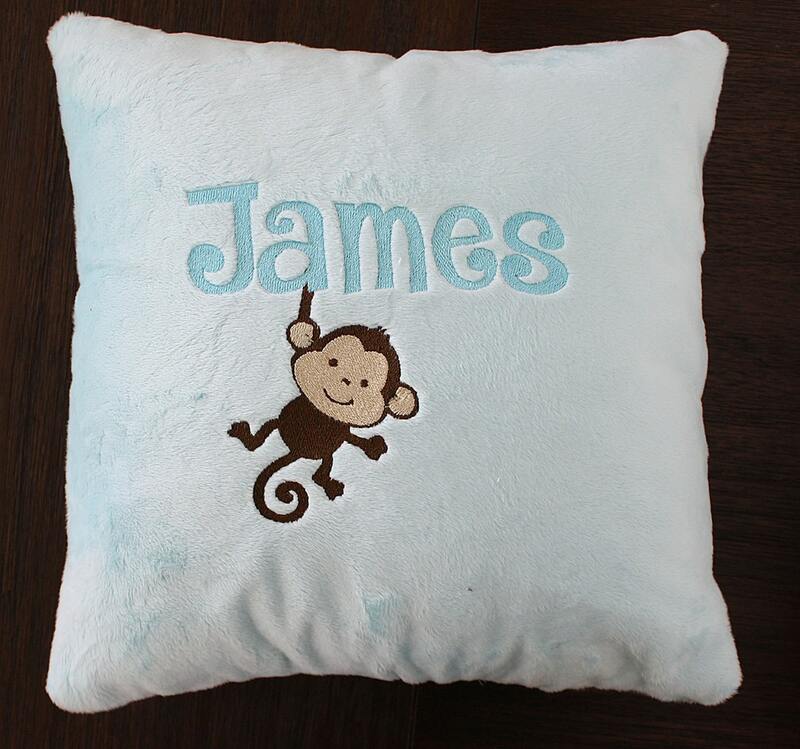 Put a name, first and middle name, first and last name or small phrase on the pillow as a perfect touch to a gift and for a baby or child's room! 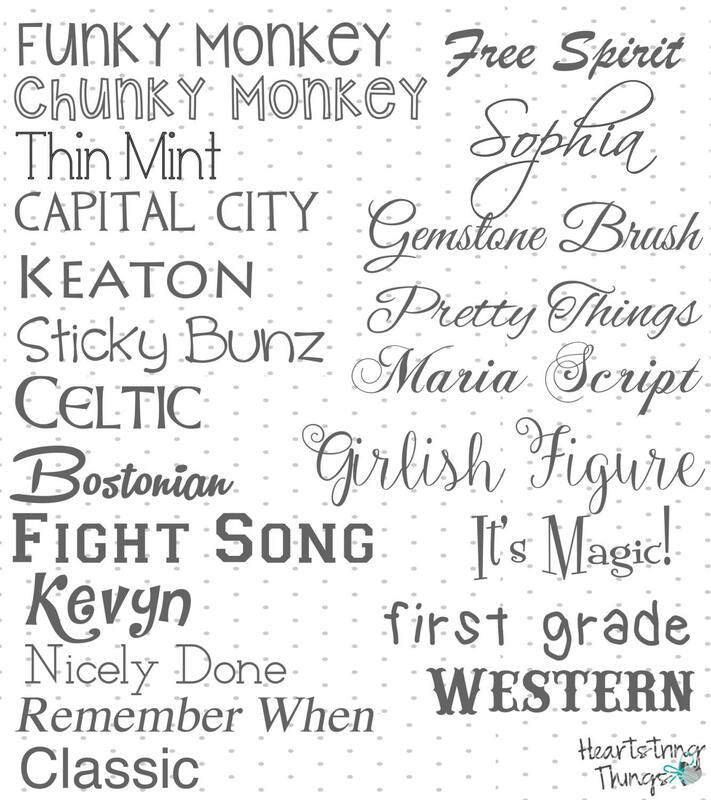 Please Specify Font desired if you would like something different than the pillow shown. You may choose any minky I have in my shop to make your pillow in! You may specify minky desired in the notes at checkout.